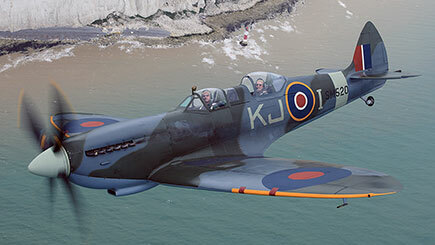 Take to the skies with this world-class flying adventure - ideal for budding pilots and aviation fans. 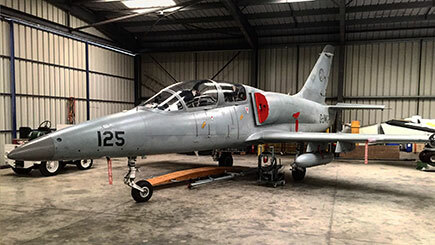 Learn how to manoeuvre the Aero L-39 Albatros, a high-performance military jet trainer designed to effortlessly soar. Operated by the Breitling Jet Team, famous from the James Bond movie Tomorrow never Dies, benefit from expert one-to-one tuition and insider knowledge before the flight takes off. Sit alongside the pilot and enjoy scenic aerial views of Paris! Once comfortable, test out new skills and control the jet yourself, implementing gravity defying loops, dives and climbs at incredible altitudes. If all is going well, there's even an option to take on a high speed low pass over the airport runway. Daily throughout the year. Please contact Red Letter Days to check availability. Minimum age is 18. Minimum height is 5'1'' and maximum height is 6'5''. Maximum weight is 20 stone 6lb. With any medical problems, please seek qualified advice in advance to ensure suitability to participate. Extreme weather conditions may affect the flight but this is rare. If the flight is cancelled, it is usually rescheduled for the following day. Lasts around three hours in total. The flight in the Aero L-39 lasts up to 20 minutes. This voucher is for one and the flight is held on a one-to-on basis with a fully-qualified instructor. Group flights are also available for up to six passengers flying at the same time; upgrades can be made when booking. Dress comfortably in sturdy boots and with a t-shirt to wear under the g-suit. Experienced ground staff offer support and guidance throughout to ensure maximum safety and enjoyment. Travel, accommodation and visas are not included but experts are on-hand to advise on these aspects.